MSNBC on Saturday hosted yet another panel accusing President Trump of racism, with former U.S. ambassador Ken Blackwell joining to push back against the overwrought rhetoric and explaining how black Americans will benefit from the president’s policies. Blackwell then spoke exclusively with Breitbart News about the encounter. When the MSNBC host asked Peterson if he instead wanted to allow the possibility that the president is insensitive to racial matters, Peterson doubled down with his accusation of deliberate racism. Peterson cited as an example the president’s policy restricting immigration from terror-prone nations, calling it a “Muslim ban.” He also cited the president’s policy on Mexico as another example, which is presumably a reference to the planned border wall and curtailing illegal aliens crossing the border. He accused the president of pursuing “environmental racism” through the EPA, as well as condemning the Justice Department and Education Department. Blackwell was having none of it. “There was an opportunity to lead” on race when President Barack Obama was elected, Blackwell contends, noting that Obama had been celebrated as a “biracial president.” But far beyond just not uniting the nation on race, by 2012, Obama engaged in a “divide and conquer” approach to his political opponents, often along racial lines. Contrasting Obama’s record with Trump’s, Blackwell rejected his leftist co-panelists’ insistence that President Trump’s new tax law would hurt black Americans, and warned against fostering a victimhood mentality in communities of color. 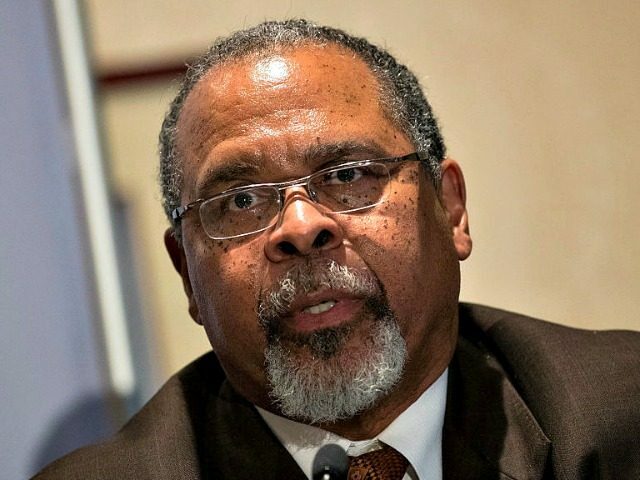 “We are much better positioned to effect racial reconciliation when we have a growing economy than when we have a contracting or anemic economy,” said Blackwell, drawing upon his prior experience as a big-city mayor and as someone who formerly managed billions of dollars in Ohio as state treasurer. “Securing the boarder is about safeguarding our national security, drastically cutting the illegal drugs pouring into our country that are poisoning our communities—including inner-city communities—and making immigration policy that benefits American citizens’ ability to get a good-paying job,” he added. “Policies like President Trump’s tax reforms and deregulation that create jobs and grow wages will create wealth and opportunity for all Americans, including black,” he concluded.